My courtyard is adorable. That photo above is definitely not it. That courtyard is AMAZING. But moving past that. I did a post with the before & afters, installing the deck, and how much better it looks now that it has it. At the moment I'm filling it with cute plants in pots. We also just got a BBQ which looks rad over in the corner, so many dinner parties to come in the future, I hope. The next and probably final piece I need for the courtyard though is a little bit of outdoor furniture. I was originally thinking a long bench along the back wall. But I reckon that a cute 3 piece, 2 chairs and table setting would look perfect too! We definitely don't need another full sized table and chairs, as our courtyard can be opened up onto our dining area indoors, where we have a 2 metre (6.5 foot) dining table. With benches along one side and chairs on the other. 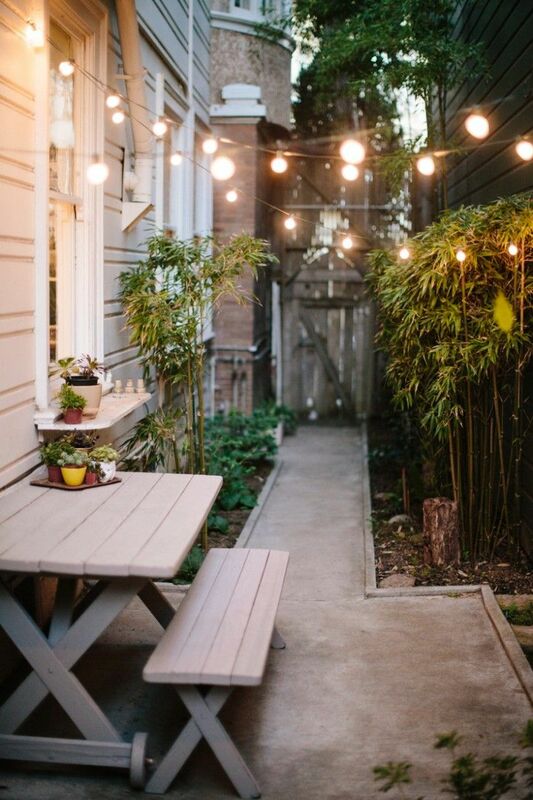 So first some cool inspiration shots of courtyards! 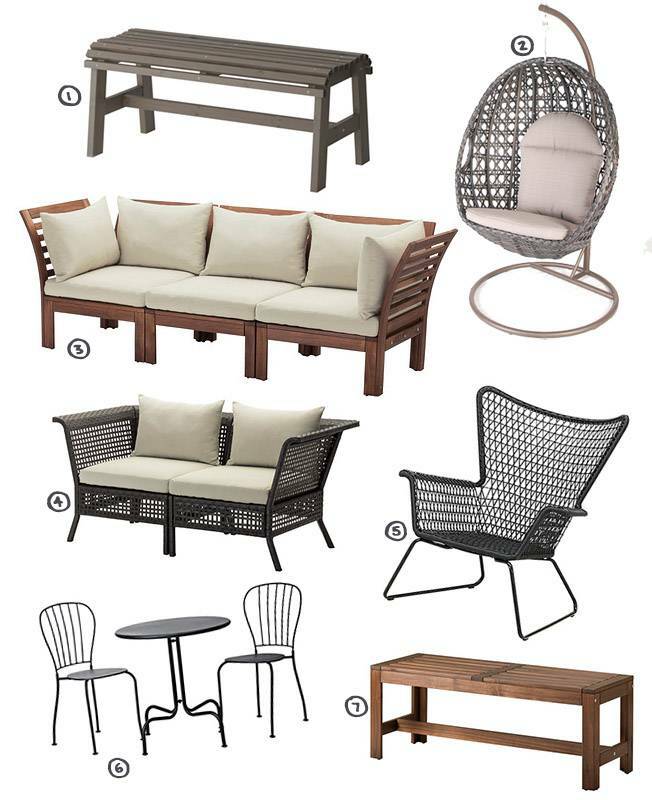 Then scroll to the bottom to find some sweet outdoor furniture pieces that I like! I think a bench of a small outdoor lounge would look really good in the centre of the courtyard along the back wall. I love the cushions, and even though they are made of weather sturdy material and are designed to last longer and dry out quicker when wet, I would still be concerned that they would get mouldy and yuck. Also I don't want to have to have the cushions in storage all the time, how bothersome. The three piece is really cute, and would be nice for having cups of tea outside with my plants. Same deal with the armchair. I would probably add a little table to go with that. Hmmmmmmm.... I'll have to pick! Though unfortunately 95% of these are from IKEA and my closest IKEA is 2 hours away. Dang it! Looks like it's back to saving money for me for the moment. 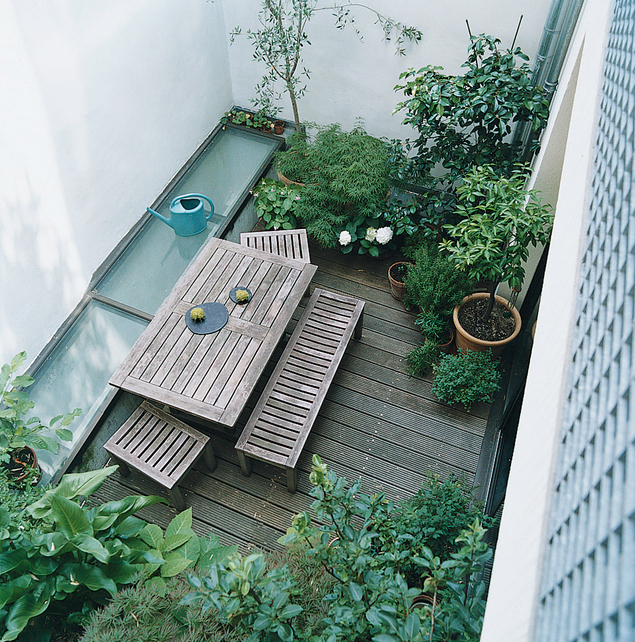 OH my gosh my dream is to have a nice clean but plant filled backyard like the first picture! I'll spend any amount of money!! Your courtyard b&a looks fantastic!! I wouldn't be surprised if it ended up being popular on Pinterest. I love the second one - there's just something so magical about string lights. Love the inspiration pics. We have an Ikea outdoor lounge set and I have to say it's been great for the summer. They're really comfy and perfect for relaxing in the sun. :) We did however have to store the cushions inside when it rained so we're now looking at getting one of those storage seat thingies for the Winter. No matter what furniture you choose I'm sure your courtyard will look great! 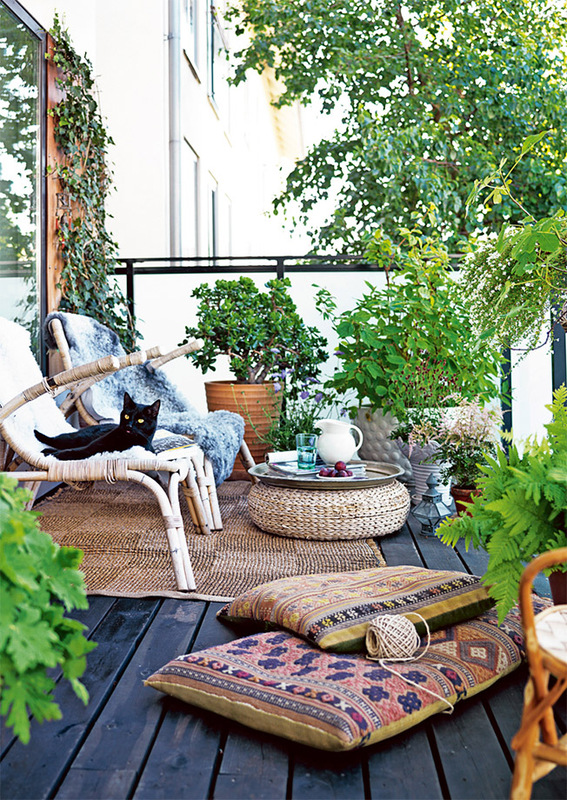 Oh wow those gardens and teraces look like paradise I love the furniture! I'm getting courtyard envy from those pics! Saw the first photo and thought wow your home is just amazing haha, bet it does look awesome though. Amazing inspiration, I love the idea of the light bulbs! Cool! Your blog is very cute! Enjoy the day, sweetie!! I love your courtyard!! It's so cute! I hope I have something like that when I am living on my own. Look for dual-purpose FrunitureWhen shopping for outdoor furniture looking http://www.gardenarteu.com for pieces that can function for dual purposes will help you save money and create a space that will allow for a multitude of family and cmmunity activities. Pieces like gardenart's Alexander garden fabric sofa equipped with its water resistant fabric is perfect for holding up against your gardern sprinklers or poolside recreation and would be a perfect spot for some afternoon relaxation or wouldn't look out of place at sophisticated garden party. Or if you are looking for the perfect garden chair to double as a tranquil meditation spot and center of your next gathering, look no further than the Gardenart Visby resin wicker chairs, which come with a round table made of the same material, and is perfect for dining or an evening of drinks and cards.